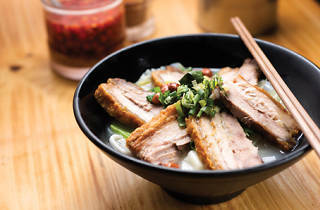 Many of city's noodle shops claim to serve authentic Guilin rice noodles, but Luk Kee is about as close as you’re going to get to the real deal. The eatery has its noodles ordered to a special thickness and length to mimic the original, which results in a satisfying chewy and bouncy texture. 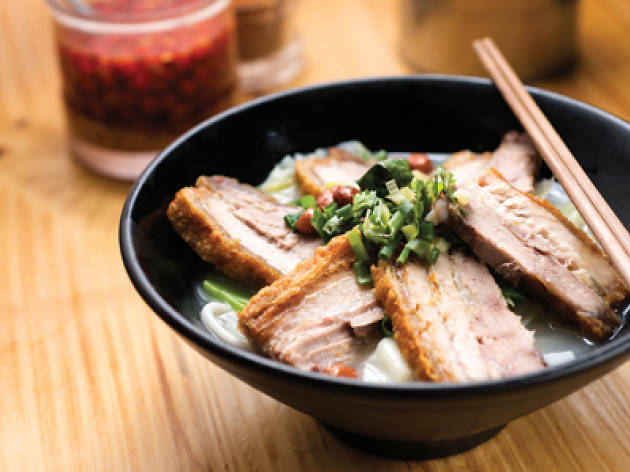 Try their signature fried pork belly noodles, freshly made on the premises, they feature soup-soaked meat, which miraculously remains crispy and piping hot.